Download our recent presentation on Quality as a Business Driver. 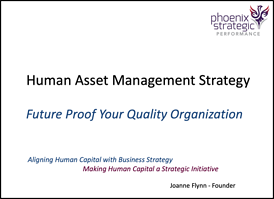 Oftentimes the impact of human capital is overlooked, but it is crucial to consider quality and your human asset management strategy as a strategic business differentiator for your organization. Simply fill in your information to access the presentation.